The most powerful internet based Workflow & Management system. Manage your business efficiently using Trackpro. 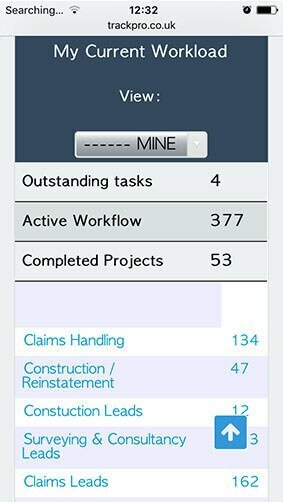 Trackpro is a workflow management system that allows you to create and manage projects that can be categoried in specified "Workflows". Projects can be assigned to user who can than manage or update the project by assigning or responding to job tasks. Trackpro has been designed with mobile devices in mind. Extensive testing and optimining for many devices such as Samsing, Apple and HTC devices. Fast performance servers are in place to provide you with near realtime access to your workflow files. Users can task other users or add specific or sensitive notes to assigned projects. 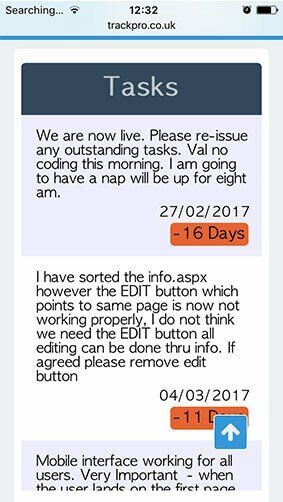 Trackpro gives the options to notify project holders or assigned users using email or mobile texts. This feature is also extended to diaries. We want trackpro to be accessed anywhere at anytime. 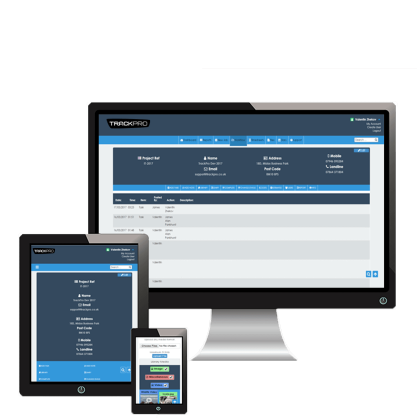 Therefore we made Trackpro to be responsive and support: mobile, tablets, laptops, and high resolution computers. 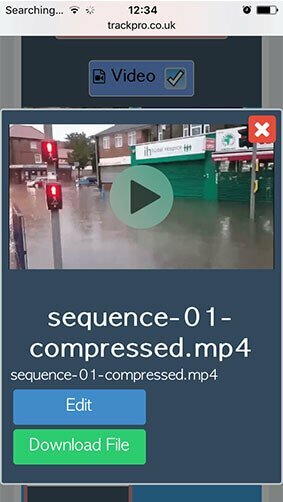 Supported with a Trackpro mobile app that allows users to submit geo-located entries which are then automatically mapped for administrators to see. Trackpro can be accessed from anywhere in the world as long as there is an internet connection. In Trackpro you can create workflow leads that can be monitored and tracked. 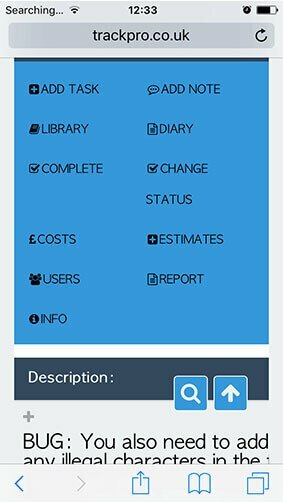 Create and follow diary entries with a fully supported calendar. No more missed meetings! An inteligent reporting system that allows you to view information provided by the various features within Trackpro. Workflows will be used to categorise project. Provide all the required details for a project and assign it to a workflow. Settup permissions to user group and now they can use the project. TrackPro is the best project workflow system I have ever experienced. The perfect solution for any business.